You come home from a trip and realize that you never set the alarm. Or, you have your hands full of kids and groceries and can’t disarm it before it goes off. It’s 2016! Can’t we get some decent technology around here to make this easier? 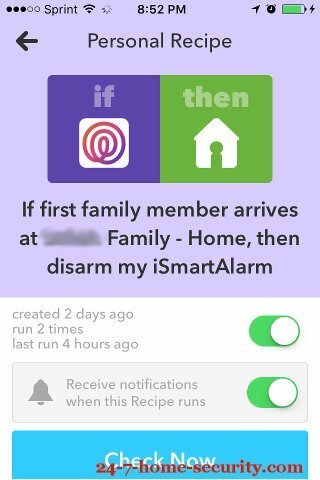 Stick around, and I’ll show to automatically arm and disarm your alarm based on EVERYONE in the family’s location (AKA geofencing). And, you can use the same technique to control your Nest, Evo, or other smart home gadgets too. 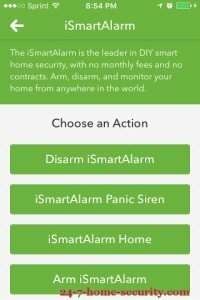 Do I really need to automate my alarm system? If you really like punching buttons into an alarm pad like it’s 2005 or even pulling your phone out of your pocket, unlocking it, pulling up your alarm’s app, and arming it on the way out the door, this article isn’t for you. If you’ve got enough to think about already and want the technology in your pocket to work a little harder to make your life easier, then you’ll love this how-to article. How many times have you inadvertently set your alarm off over the last month? How many times have you forgotten to set your alarm? Before we get started, know that if you live alone, you may want to check out a couple of simpler solutions down below. This how-to is unique in working for a whole family. 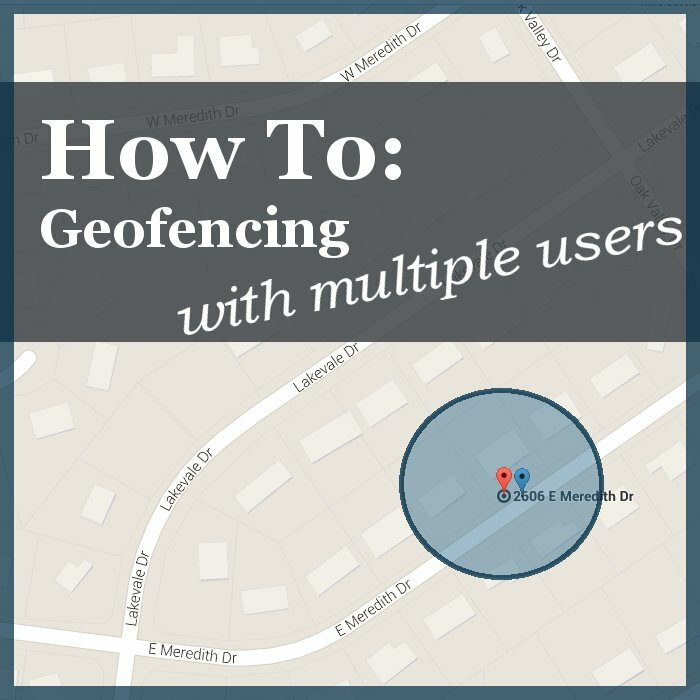 How Does Geofencing with Multiple Phones Work? Maybe you’ve already figured it out, but we’ll explain for those not familiar with these services. IFTTT is a service that allows you to connect devices and apps together with triggers and actions. It will be the glue connecting your alarm or home automation system to the Life360 app. It’s also a key component to many other neat home automation tricks that I’ve written about. So, you’ll be adding a new recipe that uses Life360 to trigger a change in your alarm system. It’s pretty simple from there, but I’ll walk you through the set up just in case. Be a benevolent technophile and share this with your friends! 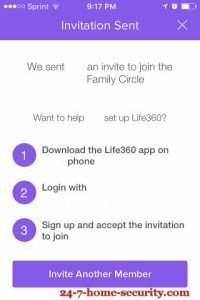 Sign up for Life360 and invite any family members who will be coming home or leaving when no one else is home (parents, roommates, or older kids after school). Sign up for IFTTT and enable the Life360 channel plus any dealing with your security or smart home system. Add new recipes to make changes to your system when people leave and arrive home. If you’re still a little fuzzy, this detailed walk-through should fill in the gaps. If not, just drop any questions in the comments below. Install the Life360 app from your app store. Create your first location (ex. home!) and set the radius of the location (increasing this can help mitigate any latency in the app and give plenty of time for your alarm to disarm on the way home). Invite other family members or roommates to your circle. 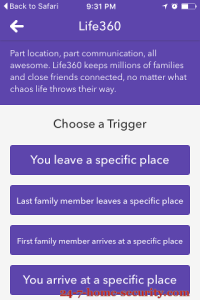 Now, you need to connect Life360 to IFTTT to trigger your alarm system. Sign up or sign in to your IFTTT account. Under channels, enable the Life360 channel and sign in to connect it to IFTTT. Under channels again, insure that your alarm system, camera, or home automation system’s channel is also enabled. For the action, choose the channel for your system (iSmartAlarm, Scout, etc.) and select “Arm” or “Disarm” depending on the trigger you used. Now, your system will automatically arm when everybody leaves the house and disarm when anyone comes back home. 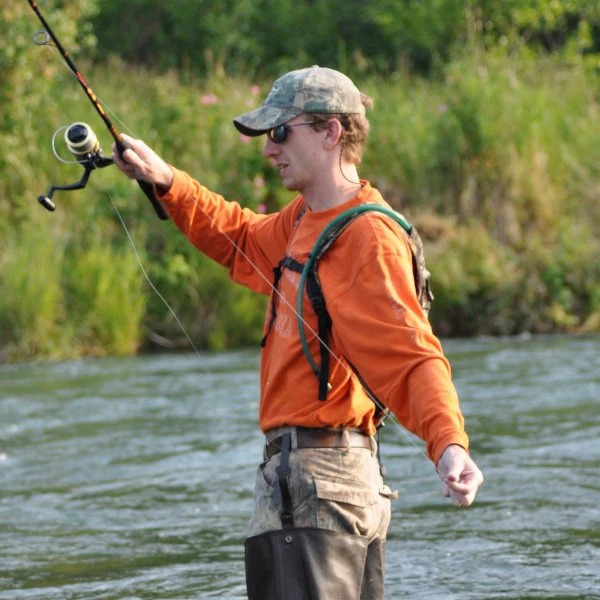 There are a couple of things to keep in mind when tweaking this setup to work just right. First, there are multiple external services that need to work together for everything to go smoothly. Servers could crash and delays could be greater than you expect. So, you may still have occasional false alarms where your alarm doesn’t get disarmed in time. Second, your phone regularly goes to sleep to conserve battery life, and it isn’t constantly waking up so that Life360 can check your location. So, it may introduce a delay as well, or you may see faster battery drain with the extra service running all the time to update your location. To mitigate delays, you could increase the radius around your home. That way, when your phone periodically wakes up and checks where it is, you’ll be more likely to see that you’re close to home and disarm your system with plenty of time to spare. Of course, the down side is that it will also take your alarm longer to arm when you leave, but most thieves aren’t going to break in as soon as you pull away from your house. If you live by yourself or don’t have an alarm system that supports IFTTT, you may not be completely out of luck yet. There are a couple of good options for you still. If you DON’T have an alarm or home automation system with IFTTT integration, then you can still make this work with an Android phone. Just follow this link to our detailed writeup on how to use Tasker to implement geofencing for your security system. If you live alone and DO have an alarm or home automation system with IFTTT integration, then making changes when you leave or come home is pretty easy. You could also use this if there is one person that stays or works from home to catch 90% of your use cases. Activate the channel for your alarm, security camera, or home automation system. Create a new recipe with a trigger via location and enter your home address (either leaving or entering). Add an action to arm or disarm your alarm, raise the temperature, turn on the outside lights, or whatever else you dream up. I hope you’ve enjoyed the write-up. I know this little trick has really made things easier for our situation where just having one person’s phone tracked just doesn’t cover every time we would benefit from geofencing. If you have any questions, feel free to ask away in the comments below. Will the Geofencing solution work if your home loses internet connectivity? The communication is Life360 app -> server -> alarm. If your alarm can’t communicate, it’ll never get the message to arm. You are opening a path that could potentially be exploited by a hacker, but it’s not significantly different than allowing location access for Facebook messenger, Google searches, Tasker, IFTTT, or whatever your app du jour is. For me, it’s worth the convenience.